Every car in the UK is placed in an insurance group, but what exactly does that mean? Car insurance groups are broadly set by The Group Rating Panel and administered by Thatcham Research. These insurance groups range from group 1 (the cheapest cars to insure), all the way up to group 50 (the most expensive). Admiral considers these recommendations when calculating our car insurance premiums. What are car insurance groups based on? Surprisingly, it's not just about value when it comes to the car insurance groups list. For example, a sports car worth £30,000 is likely to be considered a higher risk than an estate car of the same value due to the fact the estate car is likely to be driven slightly differently. The fact the estate car is likely to be driven in a certain way means it may go into a lower group. There are thousands of different makes and models of car on the road in the UK, which makes working out what they should cost to insure a highly complex business. To make things easier and fairer the insurance industry uses insurance groups for cars. Currently vehicle groupings are on a one to 50 scale, where one is low risk and 50 is high risk. The scales have changed over time, they were originally one to 20, changing to one to 35. Admiral started using the one to 50 in August 2011. What car insurance group is my car? Unfortunately, there’s no one size fits all rule when it comes to getting the best car insurance price. With insurance categories, it's not even as simple as choosing a smaller car to guarantee a lower group. Although cars like Citroen C1s are generally grouped quite low and Ferraris are generally grouped very highly, you may find that a particular variation of a model might be in a completely different group due its specifications. Even cars of the same type, such as family hatch-backs with similar values, can end up ranking differently. 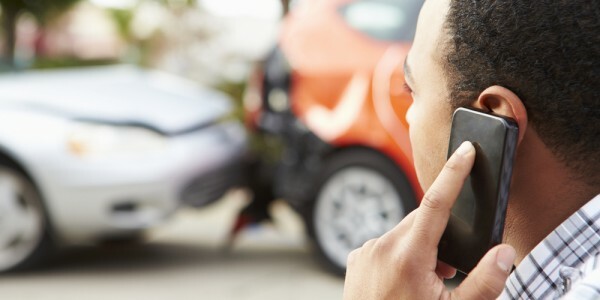 According to the ABI, the cost of motor vehicle repairs accounts for over half of all the money paid out in motor insurance claims, so it makes sense that this is something highly considered when organising car insurance groupings. Longer repair times mean higher costs, and the greater likelihood of a higher group rating. The prices of new cars are taken into account, as they are often a good guide to the cost of replacement and repair. A standard list of 23 common parts is used to compare the cost of parts from one manufacturer with those from another. The lower these costs, the more likelihood there is of a lower group rating. Acceleration and top speed are important factors. Insurers know very well, from their claims statistics, that high performance cars often result in more frequent insurance claims – and therefore will usually be ranked higher. An Autonomous Emergency Breaking (AEB) system can help reduce low speed front to rear accidents, and therefore cars fitted with AEB as standard may have a lower insurance rating. Security features fitted as standard by motor manufacturer may sometimes aid in reducing insurance claims costs. These features may include high security door locks, alarm or immobilisation systems or locking devices for alloy wheels. However, there’s no way of guaranteeing that certain vehicles will be considered low insurance groups cars. A member of our pricing team at Admiral said: "It's worth bearing in mind that the insurance grouping might not be the only factor used when insurers consider your vehicle, for instance the vehicle value and age of the vehicle may also have an impact". Find out the cheapest cars for young drivers to insure. 5850 People had a quote in the last 24 hours.